There are many ways you can contribute to the health of the ecosystem and therefore to the health of your watershed. By using native plants, you can conserve water, as the natives, once established, are tolerant of the typical Midwestern wet and dry cycles. They have evolved over thousands of years to survive fluctuations in precipitation and temperature. Native plants are resistant to pests and diseases. 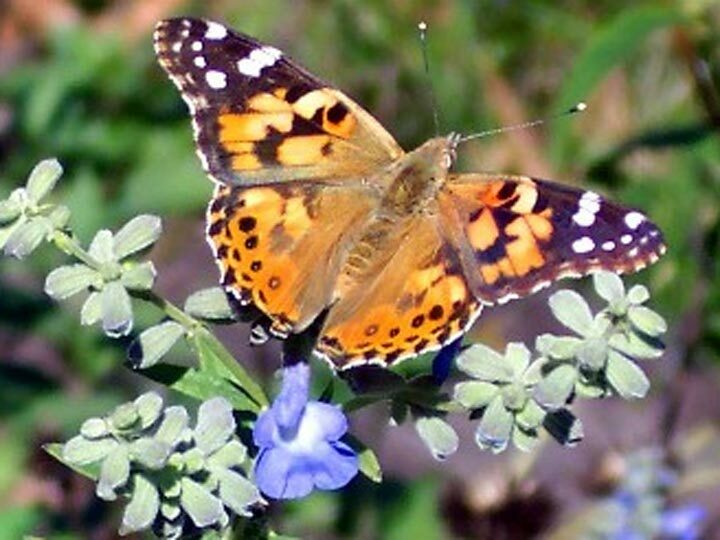 Therefore, fertilizers and pesticides can be eliminated in a butterfly garden of native plants, thereby reducing polluting runoff into our waterways. The long root systems of the native plants help to filter out pollutants in stormwater runoff as well as to channel water to recharge the groundwater. 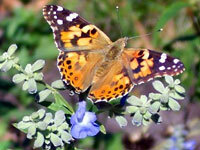 A native flower butterfly garden will contribute to biodiversity by attracting beneficial insects and birds. The native plants are also an important factor in promoting biodiversity. Since a butterfly garden will help reduce the amount of mowing, fewer air pollutants will be released into the atmosphere from the mower. Time, fuel and money will also be saved. Learn more about your South Grand River Watershed and how to protect your water at: www.sgrwa.org.